Discussion in 'Archive' started by CM Kabz, Apr 5, 2018. In our ongoing efforts to improve the quality of our service, on April 25th, the North American servers will be brought offline to initiate the migration process as we transition to a new Service Provider and implement upgrades to our systems. On April 25th, we will switch hosting provider and administrator for our NA servers. NA Servers will also be utilizing Level 3 Communications as the primary carrier. 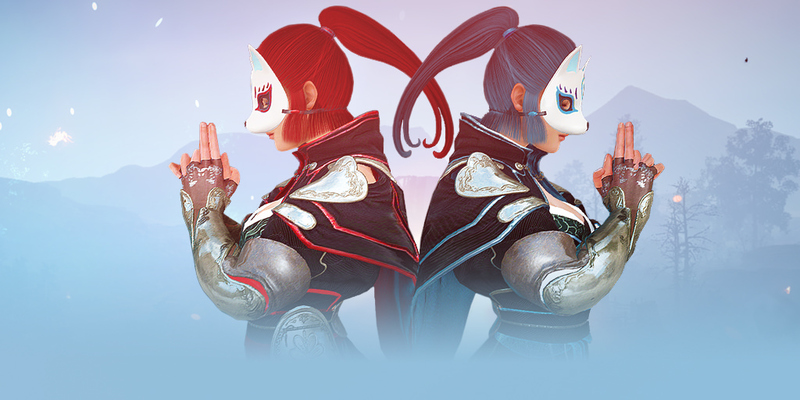 In addition to Level 3 Communications as our primary carrier, we will have 2 other carriers to support the network stability for the Black Desert Online service. There will also be new security measures to the system to improve mitigation against DDoS attacks. Furthermore, the Database servers will be upgraded for improved performance. Additionally, a few weeks after the NA Server upgrade, we will be upgrading the EU Database servers. The DDoS mitigation system for the EU servers was put into place a few weeks ago. We expect this process to take approximately 10 hours. As the migration process is quite involved, there will be no patch applied on Wednesday April 25th. Instead, the game patch update will occur on Thursday April 26th. Our goal is to increase the overall connection stability experienced by players for both Europe and North America regions. Measures were taken with the North America servers due to the inordinately high number of incidents causing disruptions to our service. We intend to apply further measures in the future in a manner that permits our team sufficient time to monitor and analyze the effects of these changes. We appreciate the patience that has been shown by our community and will continue to strive to improve the service wherever possible. AncientRock, Elequite, Qmm and 190 others like this. Never, Slynx, Mumnoch and 7 others like this. godkong, Venkas, ClearArrow and 24 others like this. McLayne, Never, Unspeakable and 15 others like this. McLayne, Unspeakable, Free_Shiro and 9 others like this. Never, Free_Shiro, Shynxie and 4 others like this. EUW WHEN? LAHN WHEN ? a few weeks after the NA Server upgrade, we will be upgrading the EU Database servers. The DDoS mitigation system for the EU servers was put into place a few weeks ago. DrBuckshire, Dunkleosteus, Alavanger and 16 others like this. Avonna, Team_Treecko, JakeInTheSZ and 13 others like this. Additionally, a few weeks after the NA Server upgrade, we will be upgrading the EU Database servers. The DDoS mitigation system for the EU servers was put into place a few weeks ago. Kismet, LadyAki, Yusiff and 27 others like this. FoodStampGod, Venkas, DrBuckshire and 4 others like this. Lefteye, Rozett, JustFiyen and 9 others like this. Hyjy, Tebb, Dznootz and 1 other person like this. Zelxski, eitheldin and Lambest like this. KittyMachine and Dudeskio like this. KittyMachine, Dudeskio and Pkmdz like this.